Note: Find current official vehicle and pedestrian beach closings here. The seashore spans from the soundside to the oceanside, and is open to everyone who adores a pristine and undeveloped length of seashore, as well as some of the Outer Banks' best birding, surfing, fishing, shelling and all around beach-going activities. With plenty of places to spread out a beach blanket, and completely unobstructed ocean views, it's no wonder that this natural attraction caters to almost a million beachgoers or road trippers every year. Luckily, with so many secluded spots to enjoy, no matter how many people are checking out the seashore, you'll almost always feel like the only one on the beach. While not always a National Seashore and therefore managed and maintained under the federal government administration, the Cape Hatteras National Seashore was always a secluded destination and scenic home for centuries of Hatteras and Ocracoke Islanders. The first residents were small communities of Native Americans, who were satellite branches of the Algonquin Tribe. These Native Americans set up thriving communities in virtually all areas of Hatteras Island, from the outskirts of Rodanthe, or "Chicamacomico," to the edges of Hatteras village, or "Hatterask." For centuries, they were the islands' only residents, and they carved out a picturesque life that was rich in seafood, small game, and lots of peaceful and confrontation-free living. By the 1600s and 1700s European settlers had discovered the area, paying particular attention to the seafood rich coastlines, the lush maritime forests loaded with quality timber, and the two inlets, Hatteras and Ocracoke Inlets, which provided a reliable route from the ocean to the mainland. Ports were set up along both inlets, and settlements grew based on the local lumber and fishing industries, as well as simple sustenance farming. More new arrivals came to the islands in the form of lifesaving station employees, as the deadly shoals that were located just off the islands, known as the "
As a result, lifesaving stations were set-up throughout the Hatteras and Ocracoke Islands' shorelines, boosting the local population while providing help for ships that became landlocked or stranded on the drifting offshore shoals. All this time, tourism was still an untapped industry on the seashore, until the first small wave of adventurous hunters and fishermen began to make long, dangerous treks to the islands in the 1930s. These trips involved travelling across Oregon Inlet on a privately run "ferry," which was basically a makeshift tug boat, and then driving for miles across muddy soundside paths, soft sandy "roads," and other tricky terrain that got more than one vacationer stuck in the salty mud. Yet despite these treacherous conditions, the visitors still came, and locals began to become concerned about the future of their deserted island homes. Keep in mind that during this time, the central Outer Banks towns of Nags Head, Kill Devil Hills and Kitty Hawk were experiencing a mild wave of new visitors along with new development, and even during the 1930s, locals were concerned that their home would become just another commercially developed beach attraction. The government's increased involvement at the time had its perks. The 1930s was the era of FDR's post-depression New Deal, and countless Public Works projects sprung up along National Parks across the country to give American citizens a chance to get back to work. A handful of these projects landed right on the newly founded Cape Hatteras National Seashore. One of the most noteworthy and labor intensive government projects was the construction of a dune line protecting the seashore from the encroaching ocean, and miles of manmade dunes were built along the beach, creating a barrier that protected both the villages and the delicate sand roads passing through. The majority of these dunes are still standing today, and many newcomers are surprised to learn that the lush green sand dunes on the oceanside of NC Highway 12 are in fact manmade additions, and date back well over 75 years. Small and large projects like these continued well into the 1940s, and the Cape Hatteras National Seashore was taking shape as a wild but more accessible beach vacation destination. Despite its early roots, the park was officially dedicated on April 24th, 1958, and essentially had an official "opening" just a few years prior to the Bonner Bridge's completion, which officially introduced mainstream tourism to the southern Outer Banks. Because the Bonner Bridge created an easy route across Oregon Inlet, thousands of new visitors were able to access the seashore, and development flourished soon after the bridge's opening. But thanks to the foresight of both the locals and the federal government, the development was limited and confined to the town limits of Ocracoke Village and the seven villages on Hatteras Island, leaving miles of undeveloped shoreline that was wide open for visitors to explore. Because of this early planning, the Cape Hatteras National Seashore remains one of the largest and most visited stretches of wild, natural shorelines in the country. As stated, the Cape Hatteras National Seashore stretches 70 miles from the borders of Oregon Inlet to the edge of Ocracoke Inlet. The area encompasses a large parcel of the soundside on NC Highway 12, which is only interrupted by the islands' combined eight villages, as well as other preserves or refuges including Buxton Woods Maritime Forest and the Pea Island National Wildlife Refuge. The oceanfront, however, is another story. The National Seashore extends from the mean low tide line to the borders of the town itself, essentially encompassing the sandy shorelines and sand dunes that lay in between, and presenting a natural "border" between the towns and the oceanfront. These beaches are all wide open to the public, ensuring that no rental house or community has private or sole access to a stretch of shoreline, and making virtually every beach on Hatteras and Ocracoke Islands open for exploring. The Cape Hatteras National Seashore is technically a mix of maritime forests, marshlands, soundside beaches and oceanside shoreline, but the big attraction is the beach. Public access and 4WD access ramps are located throughout all 70 miles, providing even easier access to visitors just passing through. Because of its seclusion, and miles of beaches with no commercial or residential developments whatsoever, the Cape Hatteras National Seashore makes regular appearances on national and global Best Beach lists, and has been a regular on one of the most reputable of these lists, the Dr. Beach's Best Beaches List, for several years running. Essentially, the size of the Cape Hatteras National Seashore, combined with 70 miles of undeveloped oceanfront, keeps this Outer Banks shoreline a relaxing and wild retreat that everyone can enjoy in relative peace and quiet. All it takes to visit the Cape Hatteras National Seashore is to find a public parking area or a stretch of shoreline that allows visitors, pull over, and step out and head to the ocean. Because of the sheer size of the Cape Hatteras National Seashore, this "park" is easily accessible to all visitors on Hatteras and Ocracoke Islands, and virtually any stretch of NC Highway 12 can serve as a gateway to a fantastic piece of shoreline, and an equally fantastic day at the beach. That said, the preferred method to enjoy the Cape Hatteras National Seashore to the fullest is to plan a vacation in a Hatteras Island or Ocracoke Island vacation rental home, condo, or hotel / motel. While the beaches are open to everyone, these vacation rentals offer the easiest access, with oceanfront and oceanside properties located just a quick stroll away from a public or neighborhood beach access. Many families stay at a vacation rental, and enjoy a week of easy strolls to the beach, toting their gear along to a quiet and secluded stretch of shoreline. One of the best draws of Hatteras and Ocracoke Islands is the fact that even in the most populous areas, there are always plenty of places to spread out a beach blanket and enjoy endless unobstructed views of the Atlantic Ocean. As for public beach access points, vacationers can simply find an inviting stretch of sand along NC Highway 12, pull over, and head over the dunes to the oceanfront. This is certainly the most wild way to explore the Cape Hatteras National Seashore, and can all but guarantee a section of shoreline all to yourself, with no one else around for miles. That said, visitors who take this route should be advised to find a stretch of highway that has a packed-down border, to ensure your vehicle doesn't get stuck, and a stretch of beach that already has a makeshift sandy path. The downside of the undiscovered beaches of the Cape Hatteras National Seashore is that the route to the beach often entails shrubby cedar trees, wild vines, and even small patches of cactus. A makeshift and cleared trail will save visitors a little effort navigating through the dune line. A much easier way to explore the beaches is to simply find a public parking area along NC Highway 12. There are plenty of these located throughout the Cape Hatteras National Seashore, from the old Oregon Inlet Coast Guard Station to the Ocracoke Pony Pen parking area located just south of Ocracoke Village. A public parking area is generally located every 3-10 miles along the expanse of the National Seashore in between villages, and all public parking areas are bordered by a boardwalk or a sandy path that leads out to the beach. Take note that with a handful of exceptions, the public parking areas offer limited facilities for visitors -just easy access to the beach and trash receptacles for visitors. For families who are more comfortable with restrooms nearby, more accommodating facilities and parking areas can be found at the Pea Island National Wildlife Refuge visitors' center, the Salvo Day Use area just north of Salvo, the Canadian Hole parking area in between Buxton and Avon, the beaches near the Cape Hatteras National Seashore, and the "Bath House" located in between Frisco and Hatteras. Ocracoke Island also has restroom facilities available at both the Pony Pen parking area, and the seasonally lifeguarded public beach and parking area just 3 miles outside of town. The easiest way to explore the beaches is via a 4WD vehicle, and the Cape Hatteras National Seashore remains one of the last locales on the Eastern Seaboard where visitors can hop in the truck, take to the sand, and explore miles of open shoreline from the comfort of their truck. Driving to and on the beach allows vacationers to pack and take along as much as they'd like, and also provides visitors with limited mobility an easy way to get to the oceanfront. To drive on the Cape Hatteras National Seashore, visitors will need a Beach Driving Permit which is issued by the National Park Service and can be obtained at several NPS stations on Hatteras and Ocracoke Islands, most notably by the Cape Hatteras Lighthouse and on Ocracoke Island next to the NPS campground. Applicants are required to watch a 10 minute video on beach driving, and pay a weekly or annual fee to obtain a permit, and all drivers on the beach must have their permit displayed on the windshield at all times. Failure to do so will result in a hefty fine issued by the National Park Service rangers, who regularly patrol the beaches. Cape Hatteras National Seashore goers are also advised to follow the National Park Service rules and regulations, which apply to every stretch of the shoreline. Littering and fireworks are prohibited on all beaches. Pets are permitted, but must be kept on a leash at all times, (unless they are in the ocean waters splashing around.) Beachgoers are allowed to have bonfires throughout the year, unless there is an emergency ban due to drought conditions, which is a rare occurrence. Bonfires must be held below the high tide line to reduce the risk of wildfires, and must be put out completely before the party leaves the beach. Also, beach goers are advised not to disturb the dunes. Please use sandy paths or boardwalks when applicable, and do not pick any vegetation on the dunes, like the sea oats. 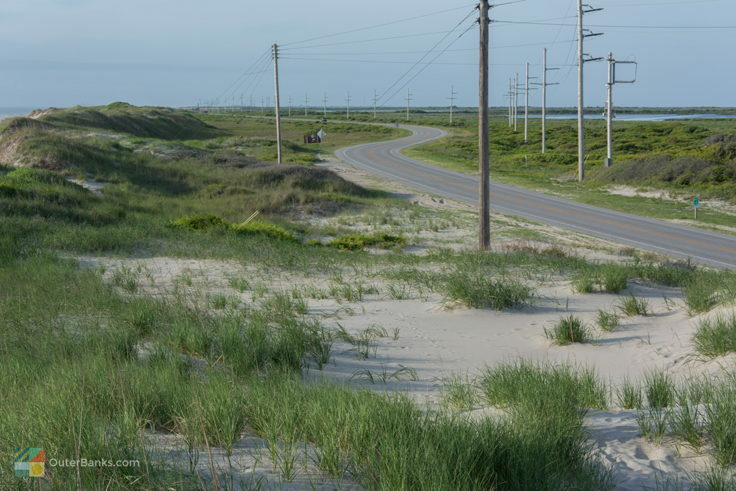 These dunes are instrumental to the protection of the villages from the ocean, so their maintenance and preservation is a key concern of the NPS. A complete list of rules can be found on the National Park Service's website, or at any local NPS Hatteras or Ocracoke Island station, but basically, as long as a beach goer uses common sense and leaves the beach as pristine as they found it, following the local rules and guidelines are a breeze. 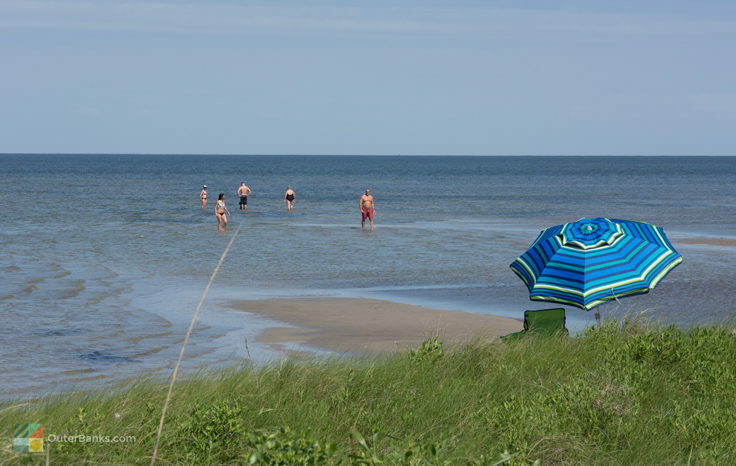 Clearly, the best activities on the beaches of the Cape Hatteras National Seashore are self-explanatory, and visitors often enjoy a full day of beach reading, sunbathing, wading, splashing, body boarding, and simply relaxing on the gorgeous shoreline. That said, there are a few activities which the Cape Hatteras National Seashore is known for, and vacationers would be remiss not to try out these fun beach adventures during their Hatteras or Ocracoke Island vacations. 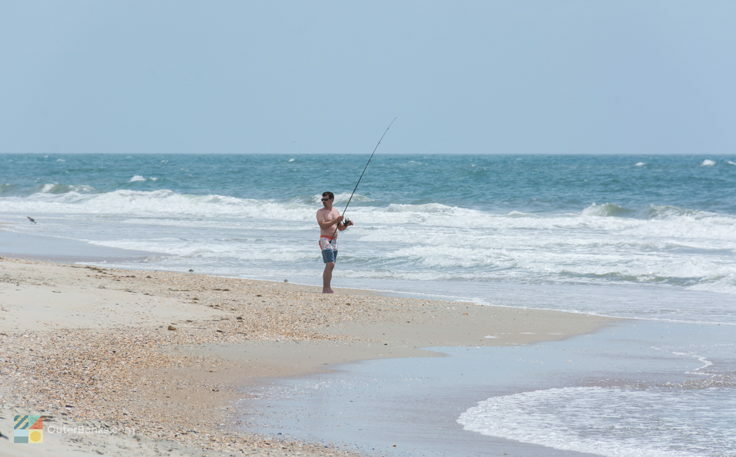 The fishing along the beaches of the Cape Hatteras National Seashore is simply phenomenal, as the proximity to the Gulf Stream and Labrador Current, as well as miles of shoreline to cast from, makes this seashore one of the best surf fishing destinations in the world. The Cape Hatteras National Seashore's "Cape Point," a beach in Buxton that is 4WD accessible and is located at the veritable "point" of Hatteras Island, has a longstanding reputation as being the best surf fishing beach on the East Coast, although virtually any stretch of shoreline can serve as a fantastic fishing destination if the timing is right, and the angler is lucky enough. Consider planning a shoulder season trip during the later spring or fall, when a number of migrating species, and particularly the prized red drum, make seasonal trips along the shoreline, allowing surf fishermen to reel in gigantic and prize worthy catches right from the beach. After hours, the Cape Hatteras National Seashore goes dark, with only a scattering of family beach bonfires or the lights from a neighboring pier of lighthouse to illuminate the way. This setting provides some exceptional ghost crab hunting grounds, and Hatteras and Ocracoke Island vacationers are encouraged to enjoy at least one late night on the seashore, scouring the beaches with a flashlight and spotting these iridescent critters that thrive after dark. A good cheap way to have fun, ghost crab hunting has become a beach tradition for many southern Outer Banks vacationers, and in the summertime when these critters can be spotted virtually everywhere, is an incredibly easy hunting expedition. Water sport lovers flock to the Cape Hatteras National Seashore, as virtually every water sport under the sun can be enjoyed at one of the north or south facing beaches that span the 70 miles of Outer Banks coastline. Major tournaments and water sports-based festivals occur along the National Seashore, like the annual windsurfing Wave Jam or the Eastern Surfing Associations' regional championships, and throughout the year, sports lovers of all water denominations can be found clustered along the islands' best beaches. Popular water sports along the oceanfront include surfing, kiteboarding, windsurfing, ocean kayaking, body boarding or skimboarding, and while any stretch of beach will do just fine for newcomers or leisurely riders who just want to go out into the ocean and have a good time, a few beaches have become regionally renowned as famous spots for a designated sport. For example, the S-Curves just north of Rodanthe and the Old Lighthouse Beach just north of the current lighthouse's location have become Meccas for East Coast surfers. Windsurfers and kiteboarders can often be spotted on the oceanside across from Kite Point and Canadian Hole, (in between Avon and Buxton), and ocean kayakers love the southern facing beaches from South Point in Buxton to Hatteras Village to enjoy challenging but gentler rides along the breakers. Regardless of your sport of choice, the Cape Hatteras National Seashore offers a perfect playground for water sports lovers of all varieties, and all skill levels. Visitors in the later spring to the early fall months may notice certain sections of the beach roped off with wooden pickets and delicate string barriers. In recent years, the National Park Service has had seasonal closures of certain beaches that are populated with threatened or endangered species. As a result, certain areas of the shoreline are closed to vehicles, pedestrians, or both. Local and national efforts are in place to make these closures less restrictive, and visitors who want to help provide year-round access to the seashore can visit the Outer Banks Preservation Association's website. For an in-depth experience of the Cape Hatteras National Seashore, consider a weekend or even a week-long camping trip. 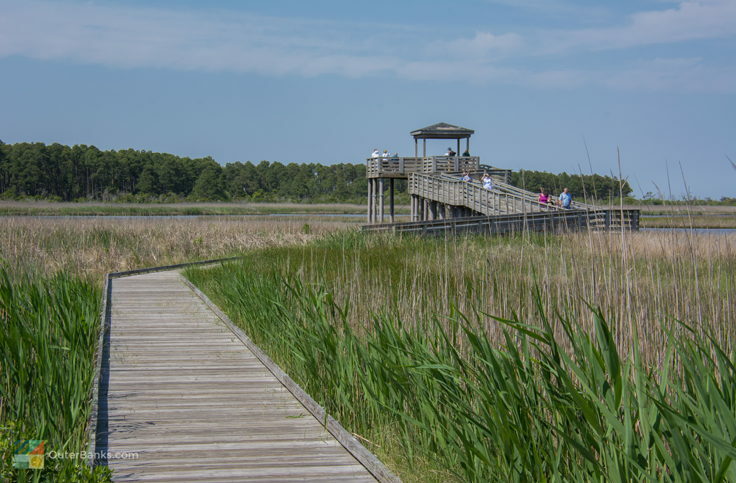 The National Park Service operates four campgrounds, located on Bodie Island, in Buxton, in Frisco, and on Ocracoke Island, and these campgrounds are seasonally open to tent and RV campers alike. Stay on the Cape Hatteras National Seashore tucked behind the dunes and enjoy an easy walk to the ocean. The NPS operated campgrounds are budget friendly, and offer just enough amenities to keep visitors comfortable, including public showers and restrooms, individual grills, and NPS rangers on hand to keep the area safe, as well as answer visitors' questions. The National Park Service also provides a number of seasonal programs throughout the year for young and old visitors alike to introduce newcomers to the Cape Hatteras National Seashore. The majority of these programs are free to the public, and can range in topics from local canalfront crabbing to sea turtle nesting site explorations. Advanced reservations are generally suggested, and visitors can obtain a complete list of upcoming programs and educational sessions on the Cape Hatteras National Seashore's website, or by stopping by a local NPS station while on the islands. For an in-depth exploration of the seashore, led by an experienced ranger, the programs offered by the NPS are a fun diversion for everyone in the family. For a truly secluded, self-guided tour of the Cape Hatteras National Seashore, consider a visit in the shoulder and off-season months, during the spring, fall, or even the winter. In the later spring and early fall, the oceanside dunes of the Cape Hatteras National Seashore are covered in bright yellow and red flowers, creating a completely striking and scenic drive, and in the winter time, even the beaches in town can be completely deserted leaving you with your own personal stretch of shoreline to explore. As an added incentive, vacation rental and hotel rates are generally much less expensive during the off and shoulder season months, and yet there are plenty of local restaurants, grocery stores, and gift stores still wide open to visitors. Come explore the Cape Hatteras National Seashore in an entirely new light, and get a glimpse of the unpopulated and deserted beaches that the original settlers and locals originally enjoyed. The Cape Hatteras National Seashore has become a hallmark of National Parks, and is well known as one of the most beautiful and undisturbed stretches of shorelines in the country. With over 70 miles of beaches, and absolutely no oceanfront development, the beaches along the Cape Hatteras National Seashore are truly as nature intended: wild, serene, and wide open for exploration. Whether you're passing through on a scenic driving tour of the East Coast, or staying for a week or three along some of the Outer Banks' most unpopulated stretches of shoreline, the Cape Hatteras National Seashore is sure to impress every beach lover, from the casual visitor to the die- hard beach bum. Pull up to a secluded and scenic stretch, hop over the dunes, and enjoy one of North Carolina's most beautiful coastal shorelines. With miles of beaches to discover, a trip to any patch of the Cape Hatteras National Seashore will feel like a wild new destination, and a relaxing retreat at a secluded, deserted beach to call your very own. Where is the Cape Hatteras National Seashore? The Cape Hatteras National Seashore is located on the Outer Banks, and stretches from Bodie Island and South Nags Head all the way to the southern tip of Ocracoke Island. There are two inlets – Oregon Inlet and Hatteras Inlet – and more than 70 miles of shoreline within the seashore’s boundaries. How do you get to the Cape Hatteras National Seashore? Visitors can reach the Cape Hatteras National Seashore from the north by taking NC Highway 12 south, which stretches through the length of the seashore. From the south, visitors will need to take the Swan Quarter or Cedar Island ferries to Ocracoke Island. How large is the Cape Hatteras National Seashore? The Cape Hatteras National Seashore is more than 70 miles long, and has an area of 24,470 acres. How many people visit the Cape Hatteras National Seashore? The Cape Hatteras National Seashore has roughly 2 million visitors every year. Is Hatteras Island part of the Cape Hatteras National Seashore? The bulk of Hatteras Island – from the town of Rodanthe to the edge of Hatteras Village - is part of the Cape Hatteras National Seashore. The area that extends from Rodanthe’s town borders north to the Bonner Bridge is actually part of the Pea Island National Wildlife Refuge. Is Ocracoke Island part of the Cape Hatteras National Seashore? All of Ocracoke Island is part of the Cape Hatteras National Seashore. What are the towns in the Cape Hatteras National Seashore? There are seven towns on Hatteras Island, and one town (Ocracoke Village) on Ocracoke Island, which are all part of the Cape Hatteras National Seashore. The towns on Hatteras Island are, (from north to south), Rodanthe, Waves, Salvo, Avon, Buxton, Frisco and Hatteras. Where can you stay in the Cape Hatteras National Seashore? All eight towns within the Cape Hatteras National Seashore offer a variety accommodation options, including vacation rental homes and condos, hotels and / or motels, and privately owned campgrounds. There are also four campgrounds that are managed by the National Park Service – the Oregon Inlet Campground, the Cape Point Campground, the Frisco Campground, and the Ocracoke Campground. When was the Cape Hatteras National Seashore established? The Cape Hatteras National Seashore was established on January 12, 1953. Can you camp in the Cape Hatteras National Seashore? Visitors are not allowed to camp on the beaches, along the Pamlico Sound, or any other area within the Cape Hatteras National Seashore that is not specifically designated for camping. With that being said, there are four campgrounds within the Cape Hatteras National Seashore that are managed by the National Park Service, as well as dozens of other privately owned campgrounds on Hatteras and Ocracoke Islands. Can you drive on the beaches in the Cape Hatteras National Seashore? 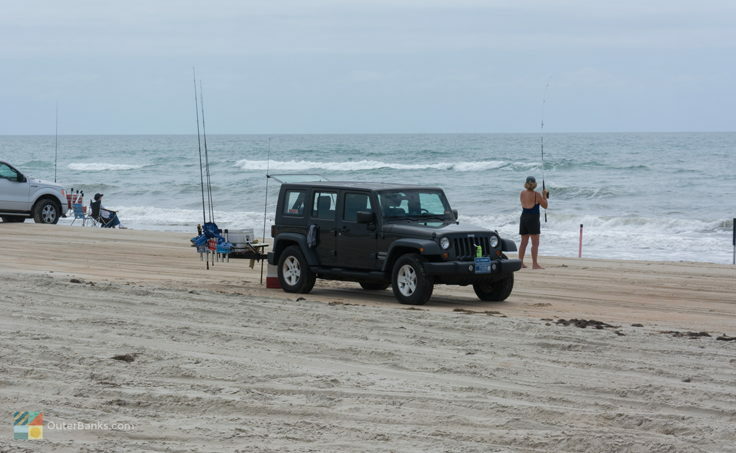 A number of beaches within the Cape Hatteras National Seashore are open to 4WD vehicles, and there are a total of 20 ORV ramps from Bodie Island to Ocracoke. A weekly or annual beach driving permit from the National Park Service is required to drive on all beaches within the Cape Hatteras National Seashore, and can be picked up at local ranger stations, or can be obtained online. Are there special events at the Cape Hatteras National Seashore? 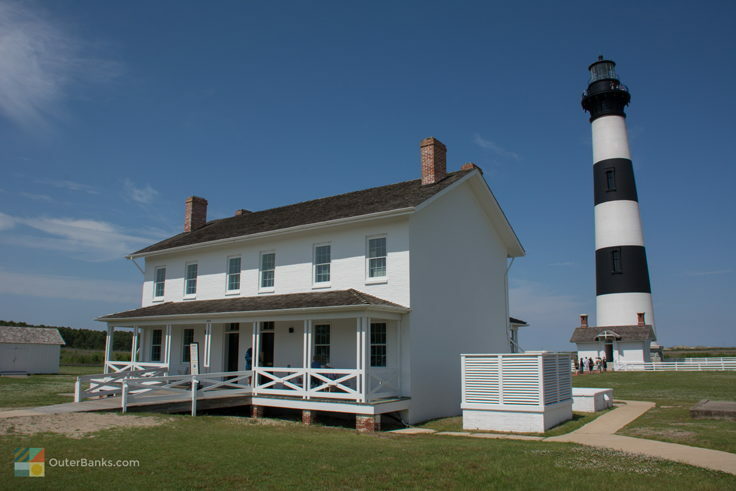 The National Park Service hosts a number of special events within the Cape Hatteras National Seashore, (including full moon lighthouse climbs), as well as programs throughout the summer months for visitors of all ages. 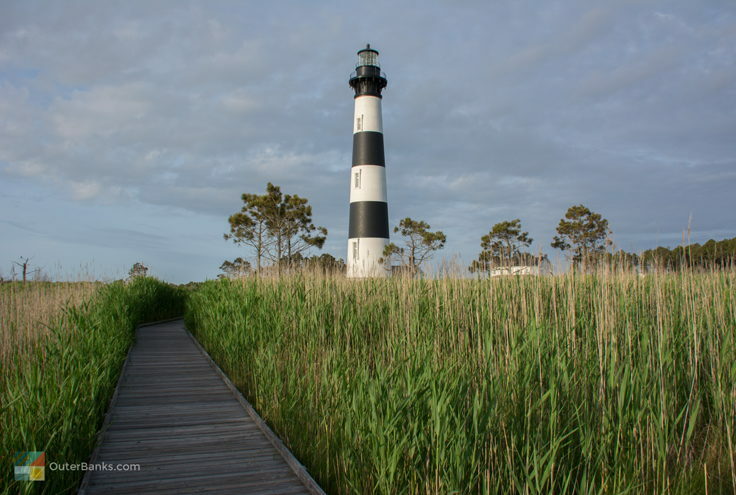 Popular programs at the Cape Hatteras National Seashore include Fish with a Ranger, Crab with a Ranger, and talks on lighthouses, sea turtles, local history, and other distinct area attractions. A complete list of seasonal programs and special events can be found online, or at the local rangers’ stations on Hatteras and Ocracoke Islands. 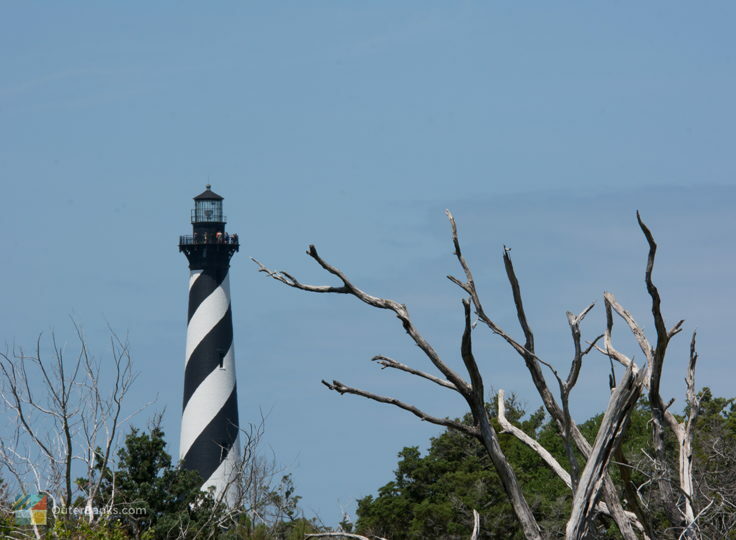 What are the top attractions in the Cape Hatteras National Seashore? The top attractions within the Cape Hatteras National Seashore are the Cape Hatteras, Ocracoke, and Bodie Island Lighthouses, the Cape Point beach in Buxton, the Chicamacomico Life-Saving Station, the Graveyard of the Atlantic Museum in Hatteras, the Buxton Woods coastal reserve, and the miles of pristine and undeveloped shorelines. Are there lighthouses in the Cape Hatteras National Seashore? There are three lighthouses that are located within the Cape Hatteras National Seashore. The Bodie Island Lighthouse is located just north or Oregon Inlet, the Cape Hatteras Lighthouse is located in the town of Buxton on Hatteras Island, and the Ocracoke Lighthouse is situated in the heart of Ocracoke Village on Ocracoke Island. 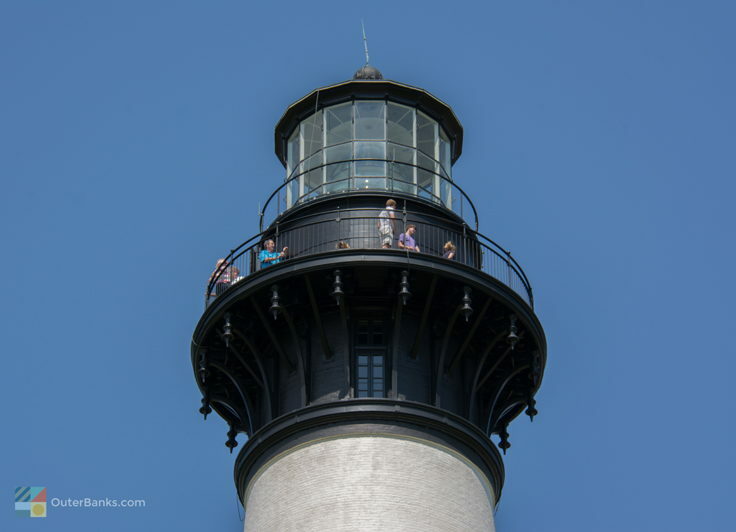 How long does it take to visit all three lighthouses in the Cape Hatteras National Seashore? 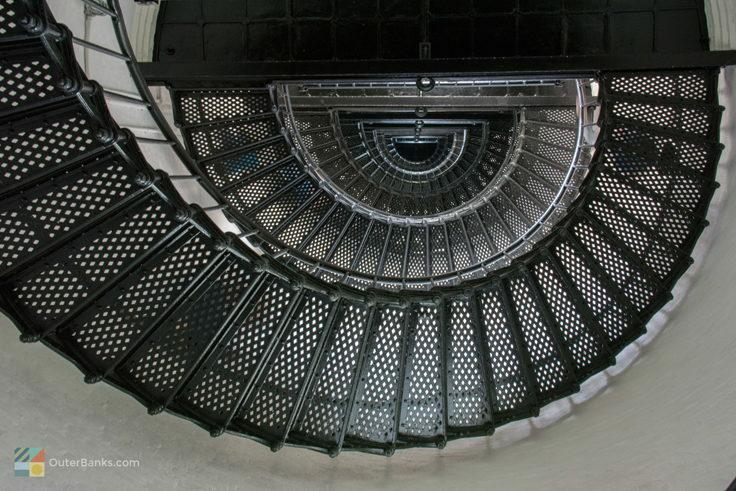 Visitors who want to embark on a “lighthouse tour” of the Cape Hatteras National Seashore will want to reserve a full day for the trek. To visit all three lighthouses within the seashore, folks will need to drive roughly 70 miles total, and will also take an hour-long free vehicular ferry from Hatteras village to Ocracoke Island. 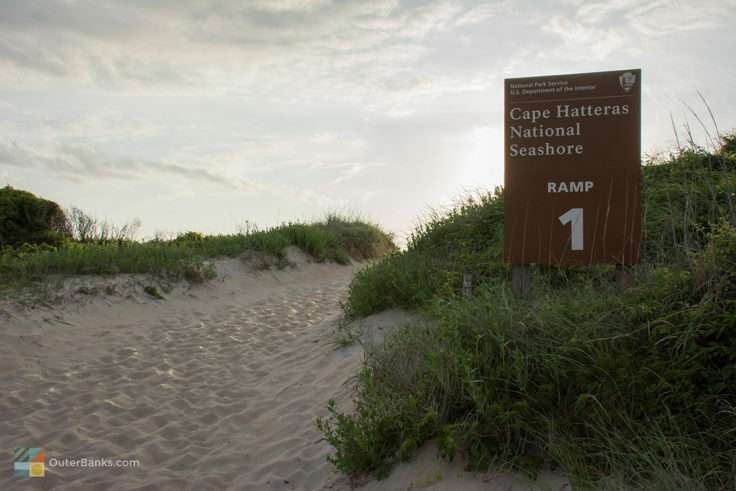 Where are the 4WD ramps in the Cape Hatteras National Seashore? The ORV ramps for 4WD vehicles are located throughout the Cape Hatteras National Seashore in intervals of roughly a few miles or so. There are two ORV ramps on Bodie Island to the north, six on Ocracoke Island, and 12 on Hatteras Island. Are there public beach accesses in the Cape Hatteras National Seashore? What beaches are open to the public in the Cape Hatteras National Seashore? Virtually all beaches within the Cape Hatteras National Seashore are open to the public, although there may be seasonal closures due to bird and sea turtle nesting. The National Park Service notifies the public of any seasonal beach closures on their Cape Hatteras National Seashore website, as well as via social media. Are there lifeguards in the Cape Hatteras National Seashore? There are traditionally two lifeguarded beaches in the summer months in the Cape Hatteras National Seashore: the Buxton Beach or “Old Lighthouse Beach” near the Cape Hatteras Lighthouse, and the Ocracoke Beach just north of Ocracoke Village. In addition, community groups including the Chicamacomico Banks Water Rescue team and the Hatteras Island Rescue Squad patrol the beaches in the summertime. Are there hiking trails in the Cape Hatteras National Seashore? There are a number of hiking trails within the Cape Hatteras National Seashore, particularly in the Buxton Woods area. Visitors will find a .75 mile trail near the lighthouse, multiple trails that can extend for miles close to the Buxton British Cemetery and the Buxton water tower, and several soundside trails just north of Ocracoke Village. What are the best beaches in the Cape Hatteras National Seashore? Popular soundside and oceanside beaches in the Cape Hatteras National Seashore include the Ocracoke Lifeguarded Beach on Ocracoke Island, the ape Point and Shelly Island beaches in the town of Buxton, the soundside Canadian Hole in between the towns of Buxton and Avon, and the soundside Salvo Day Use Area just south of Salvo. Are there shells in the Cape Hatteras National Seashore? The Cape Hatteras National Seashore is known for exceptional shelling, thanks to a location that’s 30 miles off the mainland, isolated beaches, brushes with hurricanes and nor’easters, and more than 70 miles of shoreline. Where are the best fishing spots in the Cape Hatteras National Seashore? Cape Point in Buxton is known as one of the best surf fishing spots on the East Coast, thanks to its location in the middle of the Atlantic Ocean, and its connection with the barley offshore Diamond Shoals. Other popular fishing destinations include the beaches and waters that border Oregon Inlet and Hatteras Inlet, and the Avon Pier, which is located in the heart of Hatteras Island. Where are the best surfing spots in the Cape Hatteras National Seashore? Popular surfing spots in the Cape Hatteras National Seashore include the “Jetties,” or the old Cape Hatteras Lighthouse site in Buxton, the “S-Curves,” or the beaches just north of Rodanthe, and the former site of the Frisco Pier in the southern town of Frisco. With that being said, when there’s a swell, virtually any beach can be a great spot for surfing, depending on the wind and current direction. Where are the best shelling spots in the Cape Hatteras National Seashore? Ocracoke Island has regularly been named one of the top shelling spots on the East Coast, due to its isolation and the regular appearances of rarer shells such as the Scotch Bonnet. On Hatteras Island, beachcombers flock to Cape Point and the newly formed “Shelly Island,” which has proven to live up to its name thanks to its countless whelks, olive shells, and other beach treasures. Where are the best kiteboarding spots in the Cape Hatteras National Seashore? 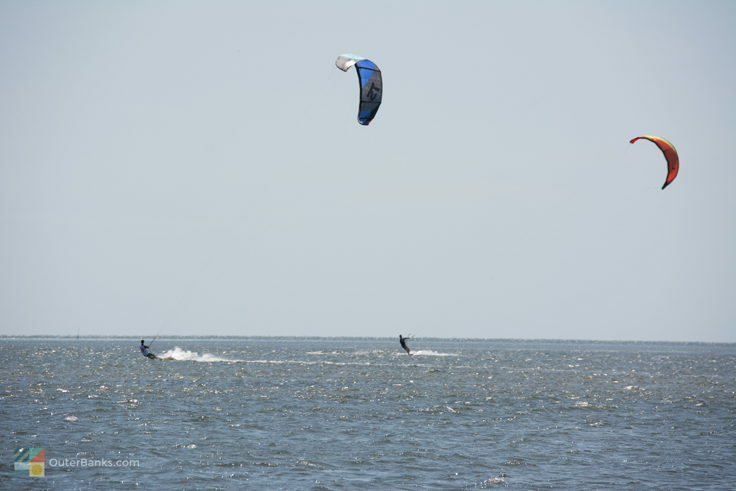 Kiteboarders flock to Kite Point and Canadian Hole (just north of the town of Avon), and the Salvo Day Use area, which are both on Hatteras Island. In addition, the island has hundreds of vacation rentals that border the Pamlico Sound, and which are popular with kiteboarding visitors. When is the best time to visit the Cape Hatteras National Seashore? The summertime is the most popular time to visit the Cape Hatteras National Seashore, however each season has its own allure to vacationers. The winter is when Hatteras and Ocracoke Islands are at their least crowded, while the spring and fall months are exceptional for seasonal sports like fishing, windsurfing, and kiteboarding. Are the beaches crowded in the Cape Hatteras National Seashore? The beaches are never crowded on the Cape Hatteras National Seashore. With 70 miles of shoreline to go around, and just eight villages in the entire National Seashore, it’s easy for visitors to find a quiet and unpopulated stretch of shoreline. When are the beach closures in the Cape Hatteras National Seashore? 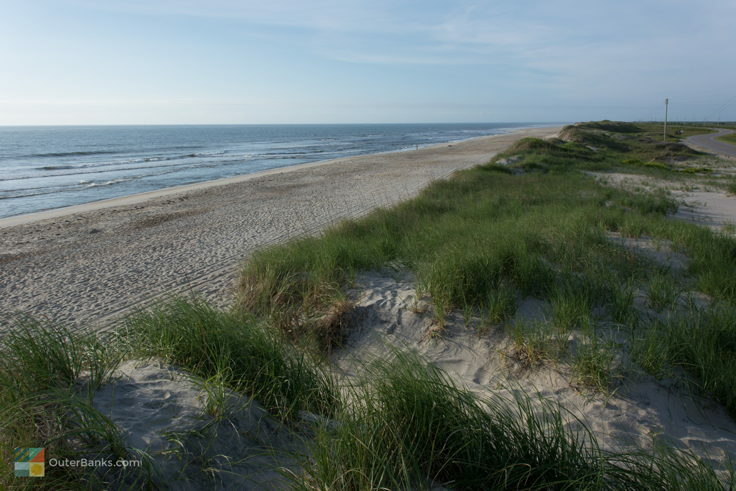 The majority of seasonal beach closures within the Cape Hatteras National Seashore take place in the late spring, summer, and early fall months, when sea turtles and birds engage in nesting activity. Only sections of the beach that are affected by nesting are temporarily closed, and the beaches that border the seven towns on Hatteras Island remain open all year.